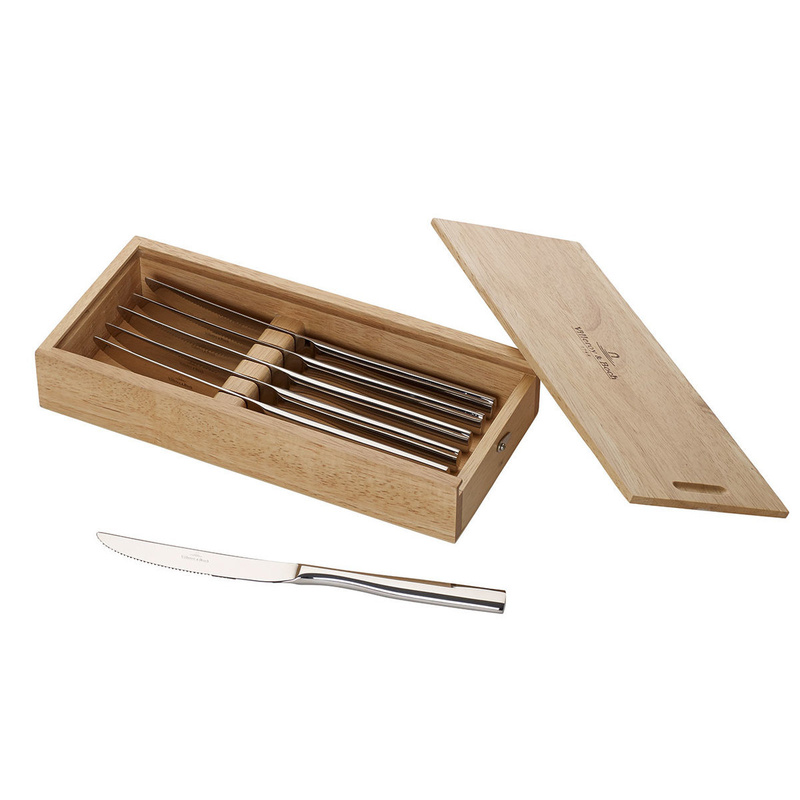 The set of 6 knives for pizza or steak Piemont by Villeroy & Boch will embellish your table. Villeroy & Boch has always paid special attention to the care of small details. With the cutlery of the Piemont line, the brand has decided to build a series of articles characterized by a modern and elegant design, with a fine and sophisticated line and a practical and safe handle. The Piemont cutlery is the result of a perfect combination between elegance and functionality, with which you can impress your family and friends. A full line that includes the perfect cutlery for each course. The 6 knives set for steak and pizza of the Piemont line by Villeroy & Boch offers articles characterized by a perfect blade to easily cut even the most difficult dishes, combined with a unique elegance. 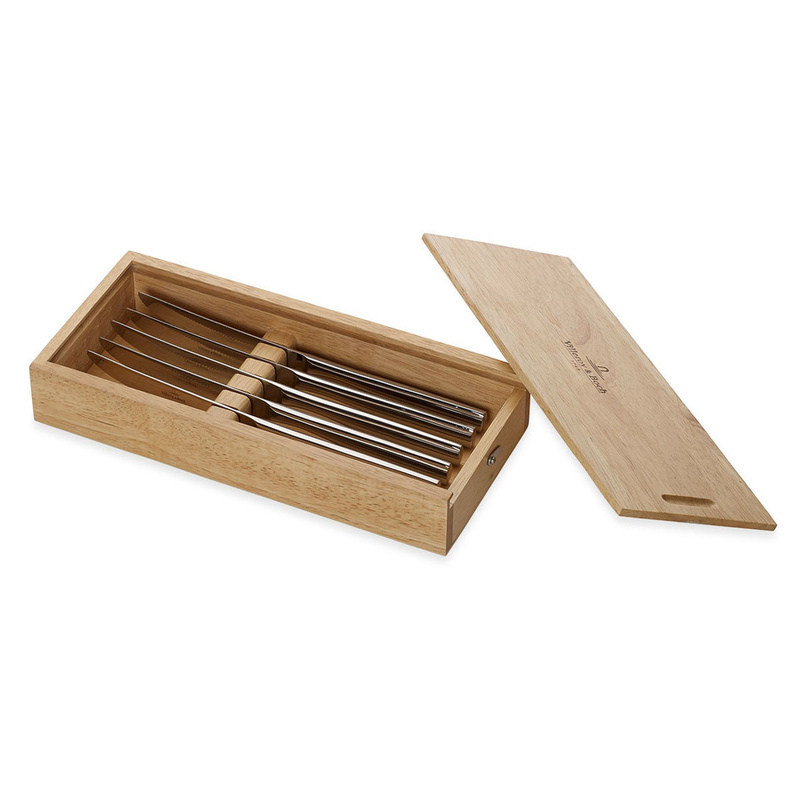 The knives is entirely made of 18/10 stainless steel which is a guarantee of great resistance and a long life. The unique and unmistakable design features of the German brand is seared on the blade. These knives are dishwasher safe and perfect to enrich the table every day or that for special occasions with family and friends. Stainless steel is one of the best materials for the production of cutlery. Perfectly suitable to come in contact with food, it is easy to clean and guarantees a perfect hygiene. The safe and ergonomic handle of the pizza and steak knives Piemont ensures a handy grip. For an even more precious and refined table, you can combine all the cutlery of the Piemont line by Villeroy & Boch. Spoons, forks, knives and dessert spoons will ensure an extraordinary elegance and will allow you to welcome friends and relatives in a superior, sophisticated setting.